The Wabash College Music Department invites the public to the tenth annual Roger H. Ide Organ Recital at 3 p.m., Sunday, February 8, in Pioneer Chapel. 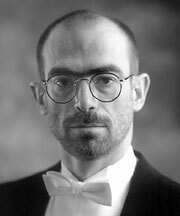 This year’s recital will be played by David Schrader. Equally at home in front of a harpsichord, organ, piano, or fortepiano, David Schrader is "truly an extraordinary musician ... (who) brings not only the unfailing right technical approach to each of these different instruments, but always an imaginative, fascinating musicality to all of them," says Norman Pelligrini, of WFMT radio in Chicago. Schrader has performed at the American Guild of Organists’ national convention on four occasions performing as a featured artist with the Dallas Symphony Orchestra, the San Francisco Symphony Orchestra, and the Colorado Symphony Orchestra. Schrader has appeared as a soloist on organ and on harpsichord with the Chicago Symphony Orchestra having performed under the direction of Sir Georg Solti, Daniel Barenboim, and Pierre Boulez. He also appeared with Chicago’s Grant Park Symphony, and with many other orchestras throughout the United States and Canada. In addition, Schrader has appeared at the Brooklyn Academy of Music as the principal harpsichordist in Chicago Opera Theater’s highly acclaimed production of "Orfeo." He was the featured performer at the prestigious Irving Gilmore Keyboard Festival, performing concerts on organ, harpsichord, and clavichord. Schrader also appeared as a soloist at the Ravina Festival under the direction of Nicholas McGegan performing all six of the Bach Brandenberg Concertos. A resident of Chicago, Schrader has performed with the Baroque Band (Chicago’s period instrument orchestra), Music of the Baroque, the Newberry Consort, and Bach Week in Evanston. Schrader has appeared with Chicago Chamber Musicians, Contemporary Chamber Players, Chicago Baroque Ensemble, and The City Musick. He is a frequent guest on WFMT radio (Chicago) on recordings and in live broadcasts as part of WFMT’s "Live From Studio One" programming. Schrader is on the faculty of Roosevelt University, Chicago College of Performing Arts - Music Conservatory for performance and academic studies. He has taught both graduate and undergraduate courses since 1986. Schrader received a doctor of music degree in organ from Indiana University. He received a bachelor of music in piano and a bachelor of music in organ from the University of Colorado. The annual Roger H. Ide Organ Recital is funded by a bequest from Dr. Roger Ide, Class of 1959, who served as the Wabash College organist while he was a student. The memory of that experience was such a pleasant one for Dr. Ide that he chose to perpetuate the music with a gift that makes it possible to enjoy organ recitals for years to come.